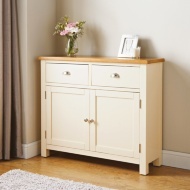 The Newsham range offers a combination of perfect countryside charm with an elegant two tone finish. 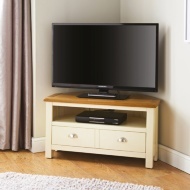 This new line of products feature solid oak and thick oak veneer tops with a cream painted finish and stylish metal handles. With a gentle distressed look, softly rounded corners and a luxury hand wax finish, the Newsham range gives an elegant look to any home.